Trump played the MSM and actually visited the troops in Iraq and other bases, timing is everything. Giuliani is pushing the idea that Mueller needs to be investigated for deleted the text messages of the FBI agents. Judicial Watch receives info that Obama knew about the Benghazi attack. Saudi Arabia reshuffles its cabinet. Russia and Turkey holding high level meeting. Russia says that Assad should receive territory held by US. UAE opens their embassy in Damascus after 7 years of being closed. While catalysts are in place for gold to rally in 2019, silver will be the outperforming asset next year, said Todd “Bubba” Horwitz of bubbatrading.com. “I think silver will be up near $18 to $20 [an ounce] and I think silver is going significantly higher too and I expect it, in the next couple of years, to close the ratio between gold and silver. I expect silver to be stronger than gold when it gets started,” Horwitz told Kitco News. On 'America's Newsroom' Senator Rand Paul backed President Trump in the face of harsh criticism from Republicans over his decision to withdraw the 2,000-strong U.S. force from Syria. Economist John Adams and I discuss the moves by APRA and the RBA to loosen credit. What is really going on? Never forget who started this crash, the FED and their globalist puppets are to blame. 90% of the government is useless, vital services will remain. The Senate has approved a bill to avoid a partial government shutdown. But it was unclear Thursday morning whether the House would pass it — or if Trump would sign it — ahead of the midnight Friday deadline to keep the government running. In a vague tweet Thursday morning sent as House Republicans scrambled to find a way forward, Trump expressed frustration with Congress. He said he was “promised the Wall and Border Security” when he “begrudgingly signed” an omnibus spending bill earlier this year. “It didn’t happen! We foolishly fight for Border Security for other countries - but not for our beloved U.S.A. Not good!” Trump wrote, while continuing not to divulge whether he would sign the spending measure. Trump also threatened to veto the omnibus bill earlier this year before signing it. The legislation would fund seven government agencies, including the Department of Homeland Security, at their current levels through Feb. 8. Trump has lamented a lack of money for his proposed border wall, a key campaign promise that tripped up talks in Congress. The Senate unanimously approved the legislation Wednesday. But a House GOP conference meeting Thursday morning sparked confusion about whether the chamber could pass it amid simmering opposition within the caucus. House Republicans huddled Thursday morning, and leaders reportedly could not assure members that Trump would sign the bill. The leaders then canceled a news conference after House Speaker Paul Ryan took an emergency call from the president. Republicans claimed they delayed the event due to the meeting running long and votes taking place on the floor, according to NBC News. President Trump finds himself increasingly under attack from both within his own party and from the radical far left. This has left him with increasingly fewer and fewer options in how to deal with his most crucial campaign promise. Building the wall. 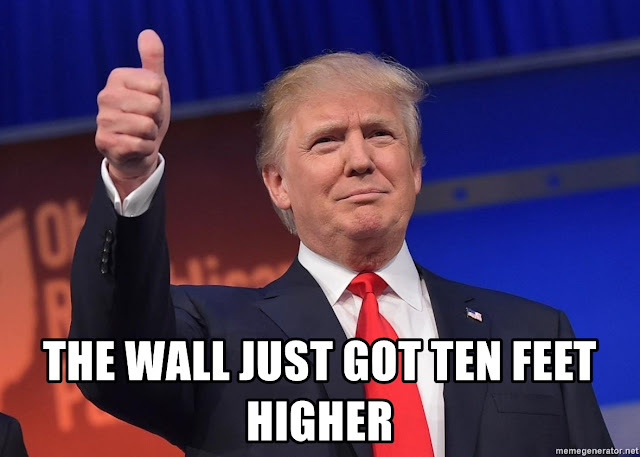 With his base frustrated and disgusted by the recent actions seen from congress over the recent budget bill, which excludes funding for the wall once again, enough was enough. The time for action is now, and it was only a matter of time before a true Patriot spearheaded the effort and decided that it was time for Trump's supporters to take actions and matters into their own hands. Brian Kolfage is that patriot. Starting a GoFundMe page, titled "We The People Will Fund The Wall", Brian has initiated a movement that is now unstoppable, raising over $300,000 USD per hour. Despite this fact, GoFundMe has yet to make any notice of the campaign, or place it on its front page, even though it is by far the websites largest, fastest earner of all time. No surprise here, given that the company is run by a collective of far left individuals, still, removing the campaign would come with dire consequences to both their brand and finances, even though they are going to be severely pressured from their far left allies to do so. "The government has accepted large private donations before, most recently a billionaire donated $7.5 Million to fund half of the Washington Monument repairs in 2012; this is no different. This won’t be easy, but it’s our duty as citizens. This needs to be shared every single day by each of you on social media. We can do it, and we can help President Trump make America safe again!" As you can see, his words are being heeded and acted upon. Patriots are engaging and mobilizing, donating a staggering $3.88 million in less than three days. This is before any attention from the mainstream media, which Brian Kolgage is soon to appear upon, taking to the airwaves, garnering untold additional support and thus funding for the campaign. Patriots will donate month after month, as much as they can to ensure that this campaign gets fulfilled. In addition to this, you can expect a significant number of VERY large anonymous donations from American millionaire and billionaires, who silently support the movement. The hashtag #GoFundTheWall is currently the top trending on Twitter, with no signs of slowly down, as this is a movement that is not going to be ignored. 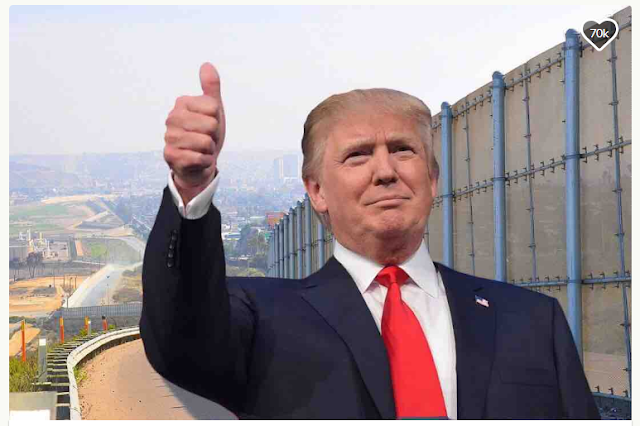 Patriots are going to build the wall, one way or another. Get your shovels ready, there is work to be done. Tucker Carlson responds to leftist backlash to his Dec. 14 monologue on mass immigration: We will not be intimidated and we will keep telling the truth. Does the FED Plan on Bringing the Market to It's Knees, to Destroy President Trump? With tightly clenched fists, market pundits, analyst and investors eagerly awaited the news from Jerome Powell, the current FED Chairman. What had the markets once again on edge is whether or not the FED will continue down its path towards calamity and once again go against the markets wishes and short term interests, raising rates. Throughout the course of 2018, I wrote a series of articles highlighting how the FED could and perhaps even may want to bring the economy crashing to a halt. 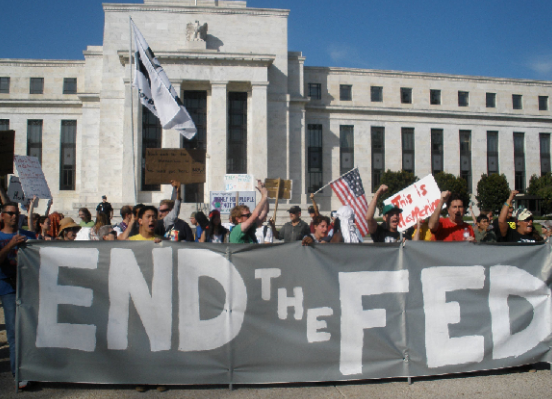 The reasons for this are many, but the most obvious is their opposition of President Trump, whom has made it crystal clear that he is not a fan of the Federal Reserve, sparring constantly with them. Trump, much to the dismay of many of his supporters has tied himself with an anchor to the movements of the markets. This has worked out fabulously for him as new all time highs were achieved, but as we have recently seen, not so well with the recent gyrations the market is experiencing. The "hawkish" approach that the FED has recently adopted has confused those who are unable to see what is happening, and angered others who wish they would simply leave the market to its own devices, unhindered by their meddling. 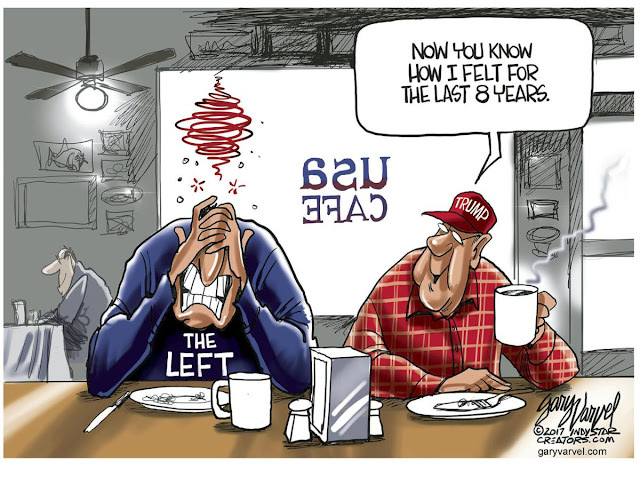 Unfortunately for the latter, more anger is on the way, as the FED has increased rates and are likely going to continue to raise interest rates further, bringing the markets down in the process as we head into the campaign cycle for the upcoming 2020 elections. This raise in rates comes in spite of a 3000 point plunge in the DOW from its highs. A drop that I accurately predicted once they began their recent rate increases. In addition to this, major corporations have stated that they see numerous indicators that reflect a slowing global economy. Geopolitical tensions are also running at all time highs, as France continues to be wracked by the "yellow vest" protests, which have nearly brought the country to its knees. Meanwhile the recent trade wars between the United States and China has taken a heavy toll on both sides, with the latter experiencing a significant slowing of growth. Still, in spite of all these bearish indicators, I believe the FED will STILL continue to raise rates, leaving many top economist simply shaking their heads in confusion. In regards to firing the FED, if only it was that easy. I for one stand with Ron Paul and would love to see the FED completely and utterly abolished, as it is a corrupt organization that has done nothing to assist the economy since its sinister creation back in 1913 on Jekyll Island. "The Fed will announce another rate hike tomorrow most likely," Schiff says. "I think that if the Fed hikes rates, there is a very high probability that its the last hike in the cycle. That should remove a headwind from gold." Former Fed insider Danielle DiMartino Booth says the $250 trillion global debt is going to be a painful and messy problem to resolve. Silver Fortune: Silver Supply Crisis Ahead? Matt from Silver Fortune tells Silver Doctors why there may be a supply crisis in the future. A large silver deposit was discovered in China recently. How does this impact the silver market? Matt says this shows the world is not running out of silver. However, he explains why he is still bullish on silver. He shares why there may be a supply crisis in the future. Eventually though, it may be the time to move out of silver, he says. He shares his silver exit strategy. Currently, the confidence in the economy is collapsing. Matt updates us the signals of crisis. 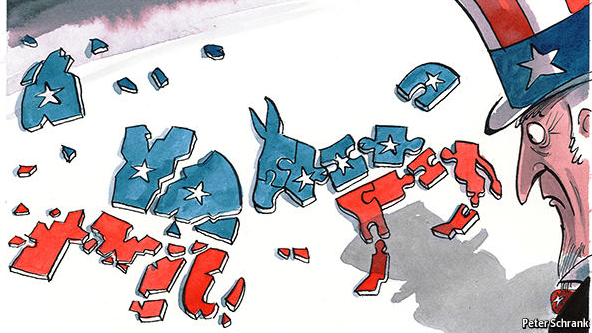 In a recent article, I discussed the continuing deterioration of politics around the world, most notably within the United States and how new, greasy tactics of deceit and foul play have been adopted, changing the rules of the game forever. This is truly saying a lot, considering the fact that for decades, the general public has been well aware of just how corrupt and dirty politics has become. But today's new normality makes the old way of doing business look like an opening act. Just a few shorts weeks ago I pointed out how elements of the far left are pushing the Democratic party further and further towards a point of no return. They are forcing the party as a whole to adopt strategies that are utterly and completely changing the rules of the game. This as I stated, is going to come at drastic cost to Western societies as a whole, as the civilities of old continue to be disintegrated. Already, Republicans are beginning to fight back and use their own forms of "dirty" tactics. Proving my predication faster than even I would of estimated, increasing the risk of instability significantly. On December 10th, we saw congress grill Google's CEO, Sundar Pichai, who has not been shy in the fact that Google, by and large has a predominately leftist leaning. A truly scary thought given the fact that they are considered the "custodians of truth" in today's modern age. This hearing, although proving little, did put the CEO of Google on the national stage and gave a face to what many see as a faceless corporation. It also opened many's eyes to the reality that perhaps everything is not as it seems, and just maybe, bias does exist in the largest custodian of information that this world has ever seen. In the past, I have highlighted the bias and corruption that is currently plaguing Silicon Valley elites, as they succumb to group think, showcasing how they can actively control what people are thinking, through manipulating search results, or simply by what they choose to promote. Now today, we see Republicans once again ratcheting up their retaliation, targeting not only one of the left's biggest allies, but rather some of their key players. Testifying in front of Congress, Tom Fitton of Judicial Watch, will be bringing forth a number of damning charges against both Bill and Hillary Clinton, as he claims to have numerous whistle blowers from within the Clinton Foundation, who state they have evidence of extreme corruption and illegal activities. "Evidence was assembled by a private firm called MDA Analytics LLC, run by accomplished ex-federal criminal investigators, who alleged the Clinton Foundation engaged in illegal activities and may be liable for millions of dollars in delinquent taxes and penalties. Those reviews flagged serious concerns about legal compliance, improper commingling of personal and charity business and “quid pro quo” promises made to donors while Hillary Clinton was secretary of State." If these allegations are proven truthful, Trump's justice department will have no choice but to act. This, as I warned, is exactly what I thought would begin to happen moving into the future, as the Democratic party has adopted this personal targeting strategy as their own. Retaliation was undoubtedly going to follow, and already we are seeing that it is. With the Democratic party recently threatening President Trump with jail time, after he leaves office, I believe they have opened up the flood gates and must now prepare themselves for an anything goes blood fest. Trump knows that he is now fighting for his life, and unfortunately for the Democratic party, he still holds the upper hand, at least in the short term. They have backed him into a corner, and he has no choice but to use every tactic at his disposal. 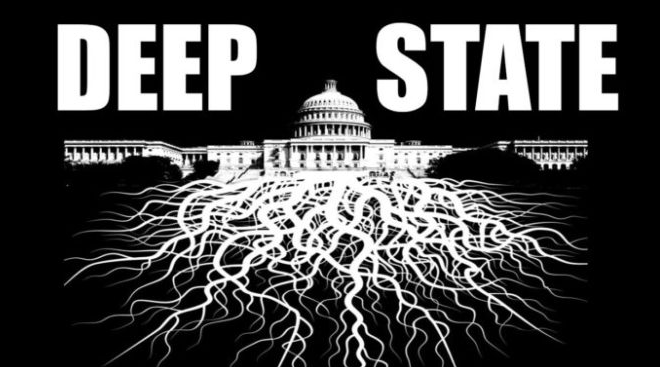 Washington, as a whole is filled with shady dealings and cases of corruption, just waiting to have the curtain pulled back on them, exposing them to the public forever. As I have previously stated, get ready for a brutally chaotic and yes, violent run up to the 2020 elections. It isn't 2019 yet, and already things are beginning to unfold even more rapidly than I could of predicted. Hold onto to your seats, things are going to get messy. So, they are going to have to pursue a radical inflation goal. ” So, what is going to happen to the price of gold and silver? Pento says, “When they do this and they (the Fed) have to change and go from draining its balance sheet and admit that they have permanently monetized $4.5 trillion of debt, and they will only be able to increase the size of their balance sheet and never be able to drain it and never be able to raise interest rates. Gold and silver that has long been suffering are going to rip higher like they have never done before. Gold and silver and the mining shares are going to go like a rocket ship, higher. Somebody out there apparently does not want President Trump to make a trade deal with China. Just after U.S. and Chinese officials agreed to suspend the implementation of new tariffs for 90 days, one of China’s most important tech executives was literally kidnapped as she was changing planes in Canada. Huawei CFO Meng Wanzhou was simply on her way to Mexico, but at the urging of U.S. authorities the Canadians grabbed her and are refusing to let her go. Reportedly, the plan is to extradite her to the United States where she will apparently face charges relating to Huawei’s evasion of U.S. sanctions against Iran. When Trump was negotiating face to face with the Chinese, he was not aware that this was taking place. So now all of Trump’s hard work is out the window, and our relations with the Chinese are probably the worst that they have been since the Korean War. The Real Donald Trump Exposed... Who is He? Gene Ho was the official campaign photographer for Donald J. Trump during Trump's two year run for the Presidency. Gene had total access and got a unique insiders look at the REAL Donald J. Trump. This is his story. The Democrats and the Republicans are both positioning themselves for the next leg of the race, in the never ending cycle of political jockeying. This should come as no surprise, as the 2020 elections will be here before we know it and once again, people will be taking to the street, campaigning for their candidate of choice in what will most certainly go down as one of the most violent, vicious elections this world has ever seen. The left, still has no clear message, and is being driven further and further towards what appears to the average person to be a deep state of insanity, or as others call it, Trump derangement syndrome. Sadly, this move is being exasperated by the MSM media, who have fully cast off any regard for unbiased, real reporting. Declaring their full allegiance to the Democratic party, no matter the cost to their long term prosperity, they have gone "all in", alienating a large percentage of the population of the United States, who now view them as the "enemy" and will never trust them again. The right on the other hand, have gone all in on Trump, who seemingly can do no wrong in their eyes, despite his many downfalls. They view him as the anti globalist candidate, who is taking a battering ram to the "old establishment", while at the same time, is being constantly dogged by the MSM and even members of his own party, known as "never Trumpers". Despite being the President of the United States, this puts Trump in a unique position of opportunity for the upcoming 2020 elections, the position of "underdog". Because of this fact, his base will feel sympathetic towards him and will not be complacent, as was the left during the 2018 elections. They will feel that the entire system is rigged against them and will put their full force into campaigning and voting for their President. The left, will also not be complacent and I expect them to become increasingly more erratic and violent in the run up to the 2020 elections. They believe the never ending stream of propaganda spouted by the MSM, and will adopt extreme strategies to shut down opposing voices, some of whom will even come from their own more centrist base. 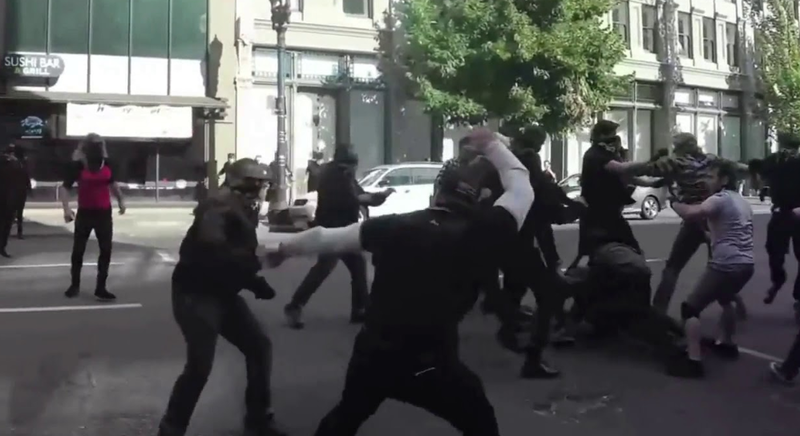 This is going to lead to massive clashes, as groups similar to both the Proud Boys on the right and ANTIFA on the left swell in size, leading to monstrous, bloody battles in the streets, resulting in high levels of damage to public property. During this period of time, President Trump will call for calm, while at the same time, he will not fully condemn those he views as allies. The MSM will of course adopt the same tactic, condemning right wing elements, while at the same time taking a "soft gloves" approach to the bad actors on the left. Meanwhile, those of us who consider ourselves centrist will be pressured to "pick" a side, as fear begins to escalate, some will do so, while others will resist, keeping a sound mind and shaking their head all the while. This violence will make the recent gyrations seen in the broad markets, of which are growing increasingly more and more unstable with the almost daily escalating geopolitical uncertainty, look like child's play. Sadly, this is not a forecast that I would like to make. But unfortunately as I stated many times in the past, things are going to get a lot worse, before they get better. Prepare accordingly and don't say you weren't warned. Chaos is coming. “To make big money in this market, you have to see the cycles. Nothing changes. We’ve had three big cycles in gold since 2000 and we’re about to have another one,” Tucker told Kitco News. “We’re calling for $1,500 next year, that’s a 22% increase in the price of gold, it’ll be one of the best performing markets in a very, very volatile year for equities,” he said. Richard Maybury discusses how we can protect ourselves against internet intrusions as individuals and governments seek to protect their sovereign rights. Is General Electric Signaling That The Next Crisis In Corporate Bonds & Debt is Starting? Jason talks about his research into GE and how there's a much larger problem in corporate bonds and corporate debt than just General Electric (GE). As we have seen since President Trump took office, the Democratic party has used every trick in the book, attempting to bog down his administration and keep his party, which at the time, had a majority in both the House and the Senate, from achieving their goals. To a large degree this has worked, yet, not entirely. Despite their best efforts, and the unprecedented amount of assistance that they have unarguably received from the Mainstream Media, the latter of which has forever exposed themselves as nothing more than partisan puppets, President Trump has pushed on and achieved many successes. The fact that he has achieved anything at all, is truly stunning. Especially given the tidal wave of resistance that he receives on a daily basis, orchestrated by the DC establishment and the forces behind them. Yet, even though the Democrats have been successful in many regards, and have bogged down the Republican Administration, this has not come without its cost, which in the future, the whole world is going to pay for. You see, these tactics that have been adopted, which many classify as "dirty" or "disgusting", are a double edged sword, and as Senator Lindsey Graham recently pointed out, they are going to regret the day they ever chose to go this route. Since taking office, President Trump has attempted to weather this storm as best as he could, taking a massive beating in the process and noticeably became more and more irritated as time went on. I believe, he has finally come to his senses and the realization that he cannot and will not be able to work hand in hand with his opponents. This means that moving forward, you can expect to see a lot more of "campaign" Trump, as he turns away from the approach he has been taking and turns more into what got him elected. A free wheeling, sometimes apparently, loose cannon. The straw that broke the camels back was the emboldening of the Democratic party, as they retook the House, a scenario that I and many others predicated would happen. Since that day, there has been an ever increasing amount of calls from within the Democratic party to investigate Trump and his family on every level, using whatever tools are available to them. This tactic, will not end well for the American people, and could possibly upset the entire apple cart, which is already incredibly precarious and unstable, as President Trump and the Republican party fight back in full force. Going on further, he explained during the interview that he has a number of "bombshell" reports that he is just waiting to declassify, reports that would be devastating to the Democratics and expose extreme corruption from within their party. Whether or not this is a bluff, or not, is unknown, however given the level of corruption within DC, on both sides of the aisle, I would lean towards the side of caution and believe that there is most certainly some truth to his threats. Democrats know this as well, and just the thought of being exposed for their many secrets and wrong doings, may just be enough to make them second guess themselves and wonder what "dirt" Trump has on them. Remember, the powers that the President has to access classified information is vast and powerful. He still has and will have many tricks at his disposal and with a stroke of a pen, can inflict serious damage against his opponents. Still, the true damage is not going to be felt in the short term, but rather in the long term, as I previously alluded to. The genie is out of the bottle and there is no going back. Which is exactly why, now more than ever, it is important to be dollar cost averaging into both gold bullion and silver bullion, month after month, year after year, as the entire system could implode, if civility isn't restored. To think for a moment that when the roles are reversed and the Democrats take power, that the Republicans will not behave in a similar manner as the left have moving forward, is foolish and irrational. They will. Hopefully, just hopefully, sanity will be restored and rational minds will prevail, before it is too late and the entire system systematically destroys itself, from within. Wishful thinking, I know. There is going to be a reset of this unpayable debt, and financial writer and precious metals expert Bill Holter contends, “It’s going to happen, and I hope for not a very long period of time. I am hoping it’s just a two week or four week event where the system goes down and goes back up. If I am wrong, then you are looking at a Mad Max world. Basically, nothing works. Your electricity doesn’t work. Your car may or may not work. We may have an EMP or it will work until you run out of gas. When credit breaks down, then distribution breaks down. If credit doesn’t come back up, then distribution is gone. That means every Walmart, every grocery store is empty. Basically, you are on your own.” In closing, Holter warns, “The balloon has already been popped. The pin has popped the bubble, and now we are just going to work its way out. As we continue to explore our custom research into the metals markets and our presumption that the metals markets are poised for a massive price rally over the next few months/years, we pick up this second part of our multi-part article illustrating our research work and conclusions. This Monthly chart showing our custom gold pricing ratio and the correlative price of Gold illustrates a number of key features. If you remember from Part I, the current ratio level (the Blue Area chart) is near the top of the Upper Boundary level (0.80 or higher). Whenever the ratio level enters this Upper Boundary level, it typically only stays there briefly before falling towards the Lower Boundary level. We’ve highlighted what we believe to be key elements of this type of ratio/price reaction. On the chart, below, we’ve highlighted every major ratio level decline from near the Upper Boundary level and the associated reaction to the price of Gold as well as the indicator reaction near the bottom of the chart. With each instance, we can clearly see that price advanced, in some cases dramatically, as the ratio level declined from the Upper Boundary towards the Lower Boundary. The biggest move occurred between 2002 and 2012 where two of these ratio rotations occurred. This Monthly Platinum chart shows the pricing pressures over the past 5+ years that have plagued the metals markets. If you were to take a look at the custom metals ratio chart near the top of this article, you would see that this pricing pressure is related to a number of key factors – most of which relate to lack of investor demand and lack of true price exploration (rotation of the ratio levels). In other words, price levels in the metals markets have been operating in a very narrow “void” or any real price rotation or exploration. We believe this environment is about to end and we believe the continued “price malaise” will end with a massive impulse move higher. Obama's common core is a disaster for this country. Five Eyes are scrambling to stop the declas. Former CIA chief Michael Hayden has a stroke. Macron has a big problem on his hands the people are rioting. Khashoggi event was manufactured by the intelligence groups of many countries to push their agenda, their FF is now falling apart. It is being reported the rebels in Syria are using chemical weapons. Q has continually said that they will not telegraph their moves, POTUS never telegraphs his moves and disinformation is necessary. Dr. Oscar Gandy joins the commentary to discuss: TGI: Transactional-Generated Information - the fuel for AI control. Artificial Intelligence: “It’s time to come to terms with the machine” Dr. Oscar Gandy, Author of “The Panoptic Sort: A Political Economy Of Personal Information”: Functioning in a completely monitored environment. We are rapidly approaching the one year anniversary of Bitcoins all time, mind blowing, historic high of $19,140.70 USD that occurred on December 19th 2017. Just as predicted, the price of Bitcoin has suffered a staggering, absolute collapse in price since that period of time, falling to a low of $4,246.31, just a few short days ago. As of today's writing, Bitcoin has tested its low multiple times, perhaps foreshadowing a move higher as the crypto bulls attempt to rally higher into the close of the year. Sadly, for many, this is a time period of abysmal reflection, as there were countless examples of perma bulls making irrational calls during this time period last year, some even going as far as to put their money where their mouth was, selling everything they owned and doubling down on the crypto bull market rally. Unfortunately, the hype has died and so too has many of these people's dreams of "making it rich quick", as they learned the harsh lesson that has been repeated time and time again throughout financial history. Nothing goes up forever. For those who think for a moment that I am a "Bitcoin", or crypto hater, quite the contrary, I was there early, participating in the Bitcoin economy when it was young, partaking in the movement on Bitcoin Talk, the central hub for the crypto sphere. I was there when it was a true community. The alarms bells started ringing for me as I noticed the continued deterioration of the Bitcoin community, as it was rapidly and steadily devoured by the "HODLERS". 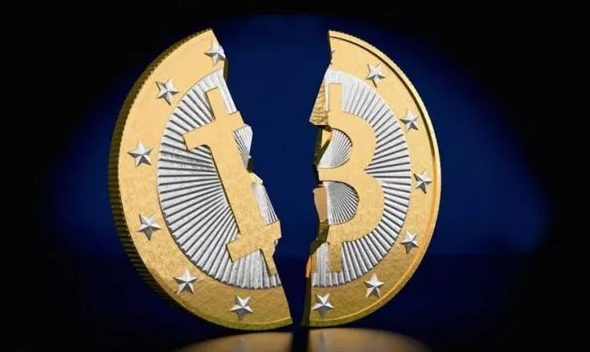 These "perma" holders of Bitcoin rapidly destroyed the foundation of Bitcoin, as the economy that surrounded Bitcoin and other crypto currencies was rapidly destroyed, eroding the foundation that led to the historic moves higher. I watched as long term supporters of Bitcoin, many of whom were staples of the community began to leave in droves, either cashing out, or throwing their hands up in frustration as they watched what once was a thriving alternative currency, devolve into a "get rich quick scheme". A madness then erupted, that put the "Tulip Mania" to shame, as the MSM media and a swarm of ill informed "investors" began to draw an ever increasing amount of attention to the crypto marketplace, many of whom claimed "it could never go down". People who couldn't even pronounce Bitcoin began to discuss its daily movements, and it was the hottest "cooler talk" at many workplaces. To any contrarian based investor, this was like a flashing red light, and blaring siren going off all at once. The writing was on the wall, and this massive bubble was about to explode, wiping out thousands of lemmings in the process. Fortunately, Bitcoin has survived and is still here, with many positive indications on the horizon, even as it continues to trend lower in the short term. Hope remains for those who still wish to see it, and the community that once surrounded it, return to prosperity, hopefully avoiding some of the mistakes of the past. As the year rapidly approaches a close, take a moment to reflect, think of the current stock market rally and the gyrations that it has been experiencing as of recently, and remember this. Nothing, absolutely nothing goes up forever. Prepare accordingly. Don’t expect to get the truth from the government or the mainstream media (MSM) that climate engineering is dangerous to humanity, let alone even going on, because climate engineering researcher Dane Wigington says, “Right now, there is an official illegal federal gag order on all of the National Weather Service and NOAA. If all of the consequences of climate engineering were considered, it is mathematically the single greatest threat we collectively face short of nuclear cataclysm. If we don’t address these issues, it effects every breath we take and the entire web of life, we are on an extraordinary short time horizon. Climate engineering is not about the greater good. It is about keeping business as usual and keeping power in the hands of people who already hold it. It’s about confusing and dividing the population about the true state of the climate until the last possible moment. They are hiding the severity of the climate to keep the population from panicking because the situation is so severe. Macroeconomic analyst Rob Kirby says, “The lineup of billions of dollars to get into physical metal is astoundingly large.
" If you think this all sounds crazy, well it is, and the financial elites know it. 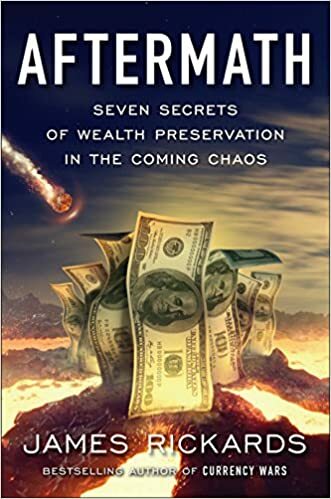 Kirby says, “When the financial elites are dealing with hopeless situations, they will make decisions that they know are absolutely foolhardy, have no merit and no prospects for success long term. They will push the mantra that if we can prevent the collapse from happening today and buy another day, or buy another week, or buy another month, then it’s worth doing. They avoid anarchy and basically they avoid meeting their end, and they avoid being hung. What this is really all about is treason has been committed at the very highest levels by financial elites and the people in control of the financial apparatus. In closing, Kirby says, “Why has this gone on so long? Most people are dumbfounded it (a crash) did not happen 10 to 15 years ago. The reason it hasn’t happened? The explanation is these jokers have created so much more money than anyone can wrap their head around. The money was created because we are on the vertical part of the growth curve of the dollar. This must be the nagging echo in the back of every politician’s and central banker’s head as they proceed down the incredibly long debt-paved road, arm in arm with their borrowed-money betrothed to… where, exactly? And this is where the limitations of our species come to the fore. If something didn’t happen in our lifetimes, if we haven’t personally experienced it yet, we have a very hard time internalizing the lessons of the past in any real way. I know The Great Depression happened. I know World War I and II happened. Can I act in ways today that are driven by the experiential difficulties and horrors earned in such dire circumstances by members of my own family, just a couple of generations ago? The stock market has been rising, GDP has been rising, and the rate of unemployment has been steadily dropping since the Republicans took office, however, as good as news as this is, something sinister has been continuing to unfold behind the scenes. In all likelihood, you are intensely aware of what I am referring to, especially if you are the one who does, or participates in the majority of the shopping for your household. Inflation continues to soar higher and in a meaningful way. The increased cost of many commodities has caused a rippling effect across the broad general market, as both staple goods such as food and luxury goods such as computes, cars, etc, have risen significantly. Two commodities that have been hit especially hard are aluminium and steel, the former of which has risen by 8%, and the latter of which has drastically increased by 38% year over year. Household staples, such as soap, shampoo, toothpaste, you name it, have increased year over year as well, with most companies disclosing in their recent quarterly earnings, that they have had to pass their increase in production cost, directly onto the consumer. Luxury goods, such as those produced by Apple, have increased by 20-25%, while autos, such as those produced by GM, have had to raise their sticker prices by $800. Years of recklessly low interest rates have caused this situation in large part, and we are just witnessing the beginning trickling out of "easy money", reentering the system for the first time in a meaningful way since the 2008 crisis began. Before this point, money has been flowing endlessly back into the stock market, causing historic runs higher, as fast money chased new monthly highs, however, as we have seen recently, investors are becoming increasingly skittish of this artificially high stock market. In addition to this, the actions of the recent trade wars between both the United States and China are having a rippling effect across the markets, with many companies having an increasingly harder time sourcing the items they need. This powder keg is set to blow, and now the FED is stuck between a rock and a hard place. 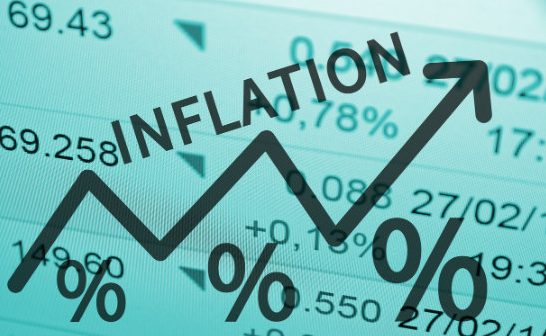 They know that interest rates have remained too low, for too long, but they also know that if they raise rates in the continued progression that they have been, that the market will undoubtedly nose dive. Some have speculated, myself included, that this may be their plan. Fortunately, the one saving grace in this whole scenario, is that consumer confidence remains high, which is translating into slightly higher wages, something we have not seen for decades within the United States. Will President Trumps America first policy pay off as many market experts are hoping, or will the FED steal the GOP's thunder by administering the medicine that these markets have desperately needed for years, crashing the markets in the process? Regardless of what actions are done in the short term, I see no way out of this situation without some pain and suffering. Markets never go up forever, and a correction is always looming just around the corner. The setbacks we have seen of recently are nothing and are just a small sample of what is to come. Get ready and prepare accordingly. Whether you like it or not, the free market cares little. 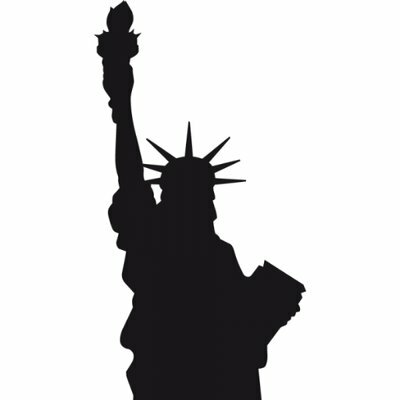 Ron Paul: Why Are So Many Nations Going For Gold? William Engdahl, an award-winning geopolitical analyst, explains the political forces that have driven climate hysteria and their political and economic motives. Oil Price Getting Whacked: Lower Prices Ahead or Just A Large Correction? Jason talks about the large correction in the oil market and if this means oil prices will go a lot lower or if this was just a large correction and oil will rally again soon? Jason talks about how the global economy still needs a Goldilocks oil price that's not too high or not too low. Ron Paul: House Goes Blue, Blessing In Disguise For Trump? Conventional wisdom says the Republican loss of the House of Representatives be bad news for President Trump. More investigations? Endless Russiagate "revelations"? But what if it is actually a boon for the president? Contrarian analysis of the US mid-term elections in today's Liberty Report. He who holds the gold, makes the rules. This is a motto that you will hear espoused by gold bugs, precious metals advocates, or anyone that has studied financial history in any meaningful way. The fact is, if you don't hold it, then you don't own it. This is something that I have warned about for years, as people continue to pile into "paper" precious metals assets, most specifically, those that do not guarantee to hold the precious metals in physical reserve, accounting for every oz that they own via regularly scheduled audits. As Central Banks around the world continue to race into gold, a trend I have been noting throughout the course of this year, some, are being painfully reminded of the golden rule and are ruing the day they ever gave up physical ownership of their most valuable, real asset. Venezuela, who is currently led by a failing socialist government, with President Nicolas Maduro at its head, is one such country that is learning this valuable lesson. Venezuela, for months has been attempting to repatriate their gold holdings from the Bank of England, the latter of whom "allegedly" holds a large percentage of the worlds gold reserves since the ending of World War 2. The reasoning for this, was one of the greatest cons in history, and one that continues to unfold. Western Central Banksters convinced many of the Worlds Nations that it would be "safer" to hold their reserves within the United States and England. Ironically, over the last few decades, this has been just about the worst place in the world to hold your gold bullion, as these nations have rehypothecated this gold to near infinity. But don't worry, they claim their "good" for it. Over the course of these past few months, the Bank of England has used every stall tactic in the book, stating to Venezuela various problems with delivery. 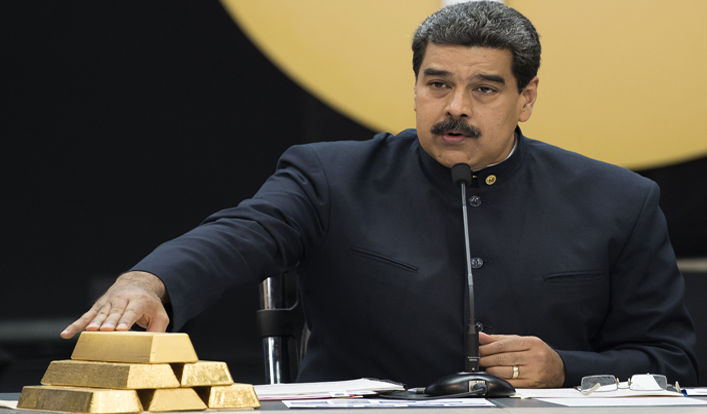 Then, last week, reality finally struck for the government of Venezuela, as President Trump acted, placing sanctions on Venezuela's gold sector. The message was sent, and following through on this shot over the bow, the Bank of England stated that they would not be returning Venezuela's gold, even though they are the legal, rightful owners of that gold! Despite what your opinions are of the Venezuela government, of which mine are abysmally low. This is preposterous and should come as a dire warning to the majority of all other countries who have their gold held in foreign locations. The Bank of England in all likelihood simply doesn't have the gold to return to Venezuela on hand, confirming a suspicion that many precious metal bugs have had for years, in which they assert that Western Central bankers have secretly been selling the gold that they were entrusted to maintain and protect, artificially suppressing the price of gold in the process. Perhaps the is gig is up, and this will be the catalyst that will eventually break the backs of the gold cartel, as other Central Banks finally wake up and realize that maybe, just maybe it is better if they physically hold their precious metals? Trump accepted the resignation of his Attorney General, Jeff Sessions, yesterday leading to an explosion of protest among the Resistance anti-Trump people. Ironically, these are the very same people who have opposed Sessions for two years! Politics?